A pair of scanners dedicated to rescuing old photos, negatives and slides from oblivion has recently gone on sale in e-tailer site Firebox. The two intelligent scanners, the Pics 2 PC and the Pics 2 SD digitise old image content letting you store and use it online. 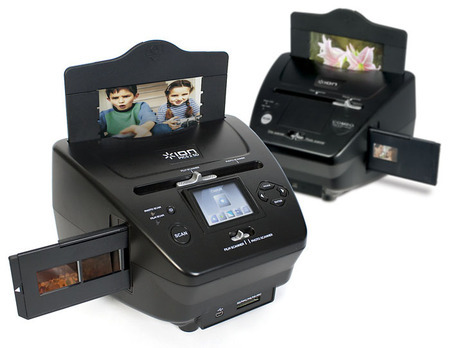 Images can be scanned on any scanner of course but these have a special slide slot in which negatives or slides can be inserted, turned into pictures and copied. The 5.1 megapixel scanners also feature auto exposure and colour balance, and boast a high quality optical element. As the names suggest, Pics 2 PC lets you transfer your digitised image to your computer via a USB cable and Pics 2 SD lets you transfter pictures to SD cards. Yes, this should speed the flow of late nineties photos onto facebook.